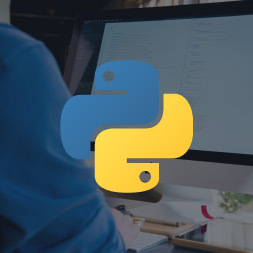 In the free online course Programming Concepts with Python you will learn about programming concepts using the Python programming language. You will learn how to display text on screen and about reading user input into your program. You will also learn about creating variables and manipulating them using functions. You will learn that everyone makes mistakes when programming and you are shown solutions to help you find and fix those mistakes. The course begins by introducing you to what programming is and the possibilities of what you can create with programming. You will learn about the advantages of using Python to start learning how to program and you will be introduced to creating a Python project in Visual Studio. Next, the course teaches you about displaying text on screen using the print function. You will learn about the different variation of quotes that Python uses to contain your text, and how to get the user to input data. The course then introduces you to variables, what they are and how to create them. You will learn about manipulating variables using built-in functions. Finally, you will learn about Visual Studio's built-in feature called IntelliSense and its features and functions that will help you with your programming. This free Alison course will be of great interest to all learners who would like to learn about programming concepts and how to write their own programs using the Python programming language.